Pet shops are great places to start working with animals-especially for people who have no pets at home but want the experience of caring for small animals. This job can be started without previous experience of working with animals but there is an amount of repetition in pet shop assistant’s chores. Duties include assisting customers so a friendly, helpful, attitude is a must! It is necessary to be fit enough to cope with lifting and carrying heavy weights, stacking shelves, cleaning out cages and feeding bowls, sweeping and washing floors. Checkout experience is useful but not essential. However, a genuine interest in animal care is very important. Product knowledge comes with experience, but the sooner a new pet shop assistant learns where things are kept, the easier it is for them to do their job and advise customers. Uniform is usually provided. If there are no small pet shops locally, advertisements for the larger pet stores can be found. It may suit to work one or two days at a pet shop to start with and combine this with another, animal-related, job to gain a broader experience-provided both employers are in agreement and there is no conflict of loyalties. General pet shops offer a broad range of pet supplies, grooming equipment, feed, housing and bedding, along with pets for sale. Larger pet stores have a greater selection of goods and a wider choice of pets to choose from. These may include rabbits, guinea pigs, hamsters, rats and mice, gerbils, chipmunks, fish, caged birds and insects. The pet shop assistant should have the opportunity to work in all areas of the shop and learn about the care of all types ofpet. There may be additional services provided within the store, for example, a grooming parlour, identity disc engraving, pet photography. If possible, take an interest in everything that goes on, as opportunities within stores can add to experience and enjoyment of the work. Unlike some jobs with animals pet shops do not need assistants to be there, 24 hours a day, seven days a week! Smaller village pet shops are more likely to offer regular shorter hours with half days and Sundays off. This can be an advantage for the younger pet shop assistant who wants to gain some basic experience with animals before making a specific commitment. Wages will reflect the hours worked, of course, as will age. (Check with employer and agree terms before starting a job.) Some larger pet stores offer weekend work. It is possible to progress in this field because pets are big business! There are opportunities for promotion within the industry which include management positions, sales, promotions work and company executives. For the dedicated and reliable pet shop assistant with a good record, a future in the larger pet stores-with relevant company based training-can be achieved. Alternatively, a pet shop assistant may develop a greater knowledge of a specific pet and choose to specialise in one area, e.g., aquariums, insects, birds, rodents. They could then find work that enables them to pursue their particular interest. 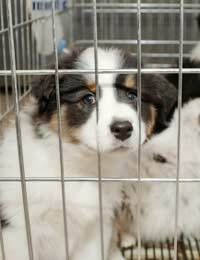 Working in any pet shop can provide a basic knowledge of working with animals which can then be developed. The experience is a good grounding for the role of animals in a commercial sense. @shell - it might be worth you either getting a Yellow Pages and compling a list of places that you would like to work in and perhaps giving them a direct call or dropping them an email. Good luck.